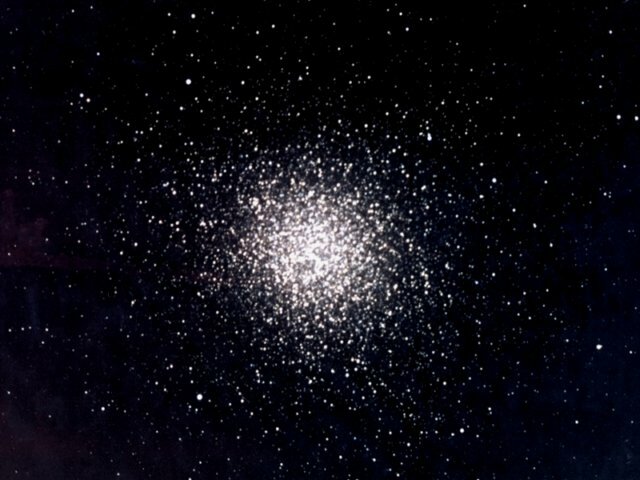 Also known as "Omega Centauri". this is the largest and brightest Globula Cluster in the sky which can only be viewed from southern lattitudes. Under dark skies like Grove Creek, it is clearly a naked eye object. Taken at the prime focus of the Celestron C14, the main telescope at Grove Creek Observatory using a focal reducer @f/7.Photo by Steven Williams using Kodak 1000 and a 30 minute expsoure.